Let’s be honest – there is nothing that gives you a confidence boost quite like being able to sport a set of sparkling pearly whites! Unfortunately, cosmetic whitening procedures, although amazingly effective, can take quite a toll on your bank account. 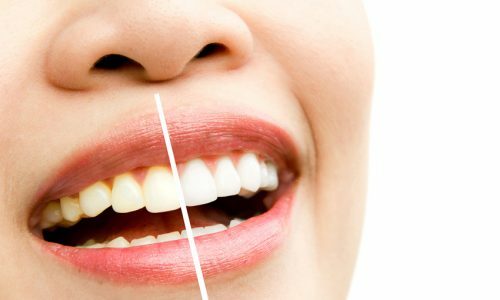 The good news is that there is a cheaper alternative available that will provide you with similarly pleasing, long-lasting results: at home teeth whitening with custom teeth whitening trays. Dr. Ralph Bastian is a dentist in Peterborough specializing in the creation of the custom teeth whitening trays, ensuring cost-effectiveness and convenience for all patients looking to show off a whiter smile. What Are Custom Teeth Whitening Trays? Also commonly referred to as stents and custom teeth bleaching splints, custom teeth whitening trays are essentially mouth guards molded to fit your mouth. They can be filled with teeth bleaching gel and worn for approximately 4 hours every day for a maximum period of 2 weeks. Unlike over the counter bleaching trays, they will make it possible for the whitening gel to properly adhere to the teeth, therefore, removing stains from deep within the teeth as opposed to just targeting surface stains. Ultimately, this leads to a more noticeable and longer lasting result. The process takes a maximum of 3 days. Use these molds to create your dental whitening trays. Are you interested in custom teeth whitening trays and professional teeth bleaching? If so, do not hesitate to give us a call to book an appointment with Dr. Ralph Bastian today.